Eragrostis cilianensis. 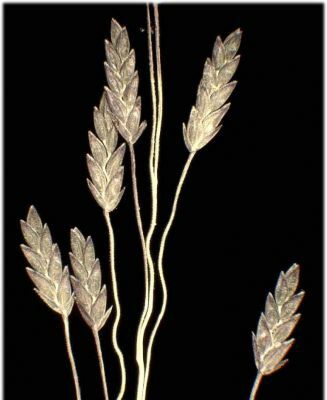 spikelet.Anna Gardner.Iowa State University. www.eeob.iastate.edu.research.iowagrasses.index.html (Accessed 5/2014). Eragrostis is a genus of annual or perennial, C3 or C4 grasses. Leaves alternate, sheaths hairy at top. 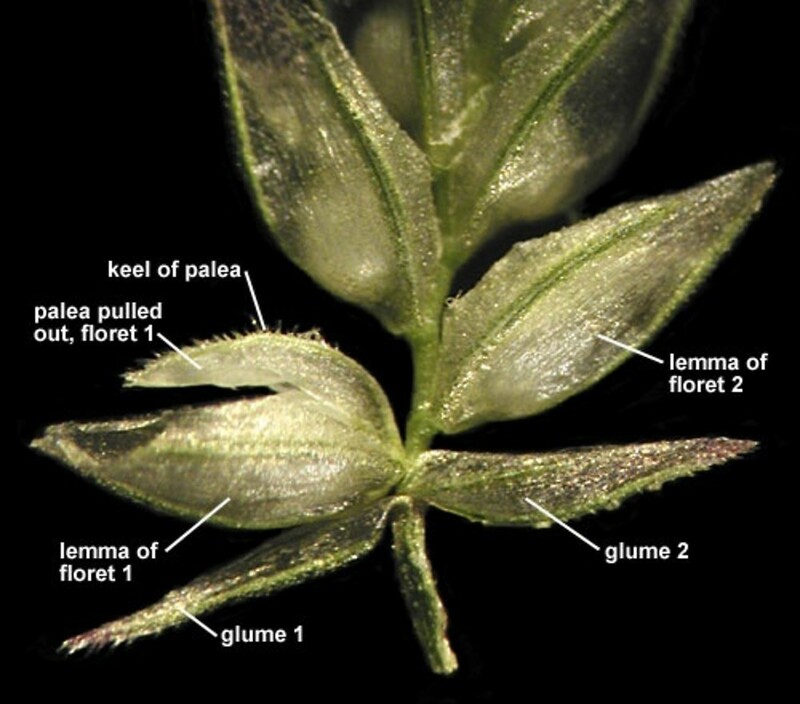 Flower spikelets with 3-many florets, generally flattened side to side and with a somewhat darkened herring-bone pattern; outer bracts of the spikelet (glumes) much shorter than the entire spkelet, florets awnless, not hairy; inflorescence generally open, diffusely branched (a panicle). First bract of floret (lemma) stongly 3-veined.